Download the bin package from VMware site (vmware-vcloud-director-5.1.1-868405.bin) and transfer it on the server. Change permissions on the file and run it. Answer "yes" the when Linux distribution is checked and stop the installation at the second question. 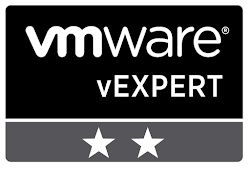 We stop the installation because VMware KB 1026309 states that the keytool to be used when generating SSL certificates is the one shipped by VMware which can be found at /opt/vmware/vcloud-director/jre/bin/keytool. It is time to generate SSL certificates (one for http and one for console proxy). Setup transfer server storage /opt/vmware/vcloud-director/data/transfer (NFS share) - not mandatory for single cell installation, but all bloggers recommended it. Now the installation can continue by running /opt/vmware/vcloud-director/bin/configure. Choose the IP addres for HTTP, Console and enter path to certificate store. Add Syslog server IP (I am using rsyslog instance on vCD Cell). Create sysprep packages structure for Windows Server 2000, 2003 and Windows XP transfer sysprep files in it. Open VM console and login to vShield manager using admin/default. execute enable and enter default as password. Run setup command and configure networking. Login on HTTPS to the IP address configured previously and connect vShield Manger to vCenter Server. Finish the configuration by setting DNS, NTP and syslog server information. Login to vShield Manager first configuration wizard and start configuration of vCloud Director cell.